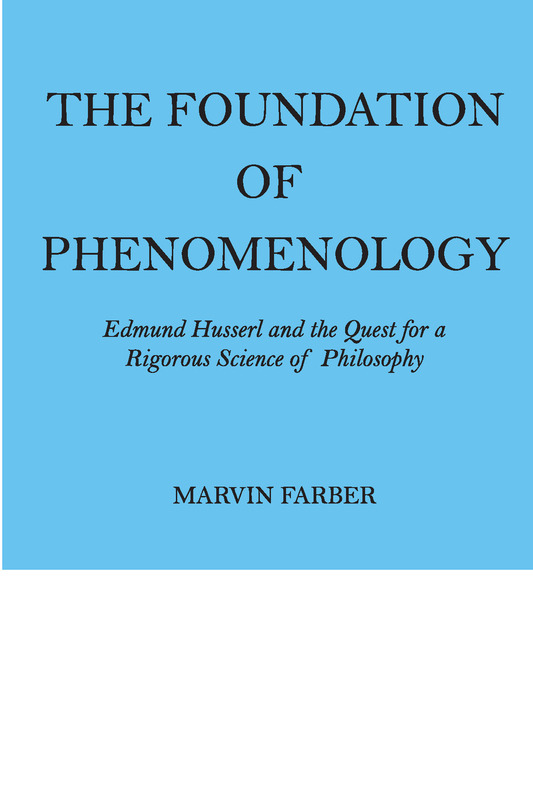 In this widely hailed and long out of print classic of twentieth century philosophic commentary, Professor Farber explains the origin, development, and function of phenomenology with a view towards its significance for philosophy in general.The book offers a general account of Husserl and the background of his philosophy. The early chapters are devoted to his mathematical-philosophical and psychological studies. The refutation of psychologism is present in detail, together with the critical reaction to it. The development of his logical theories in the light of contemporary literature at the close of the 19th century is next considered. The main content of the six Logical Investigations follows, which contribute to the phenomenological elucidation of experience and knowledge. The phenomenological philosophy of logic as developed in Husserl's later writings is then introduced, followed by a discussion of the phenomenological method and its proper function. Farber makes clear his preference for phenomenology as a purely descriptive method and his opposition to have it serve as a last stronghold of metaphysics.Indispensable as groundwork for descriptive philosophical study, this book will deeply interest not only serious students of philosophy and psychology, but also those who are concerned with the philosophical aspects of mathematics, social and natural sciences, law and psychiatry.